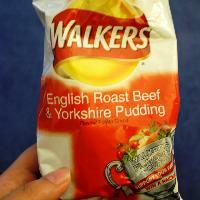 As a special limited series for the 2010 FIFA World Cup, British snack food manufacturer Walkers made potato chips with English Roast Beef and Yorkshire Pudding flavor. Australian potato chips producer Red Rock Deli came up with the original flavor blending sweet and salty tastes in their Honey Soy Chicken. 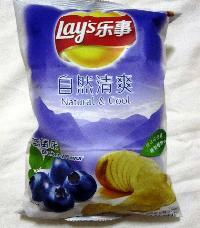 Sounding like totally incompatible combination in the Western world, blueberry potato chips is one of the most popular flavors in China. 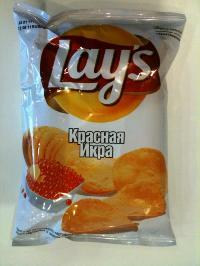 Russians prefer their Lays potato chips dusted in red caviar flavor. 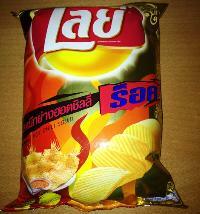 Asian nations are famous for their fondness for sea food and they successfully incorporated this ingredient even into their potato chips.Hot Chili Squid is a popular flavor in Thailand. 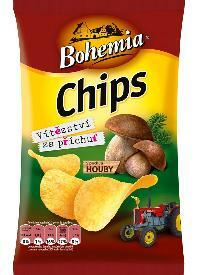 The Czechs love mushroom picking and making all kinds of food from it.No wonder their leading potato chips producer recently came up even with mushroom flavored chips. 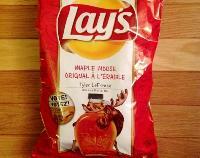 In 2013, the nation wide contest to develop a new flavor of potato chips in Canada was won by a crazy flavor combining two Canadian icons maple syrup and moose. 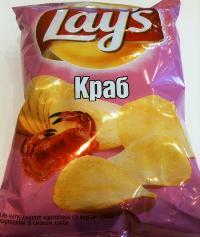 If you have ever fancied trying crab potato chips, you should visit Ukraine, Kazakhstan or Russia where these chips by Lays are very common. 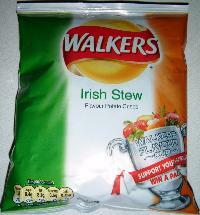 Considered the national dish of Ireland, it comes as no surprise that the Irish stew became a favorite flavor for potato chips in this country. 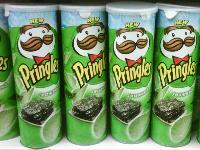 Seaweed potato chips by Pringles catch your attention not just because of the name but also color and taste.Available in Thailand and a few other Asian countries, they are brightly green and taste more sweet than salty.